The Academy of Hair Design, Springfield MO, is so grateful for active military persons and veterans who have served for our freedom and protection. 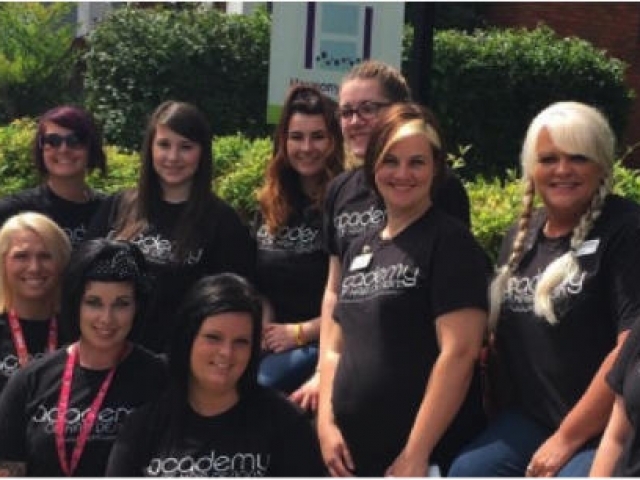 The incredible freedom we have to choose educational opportunities like Cosmetology, Barbering, Esthetics and Manicuring is due to this service also. As a thank you, we offer all active military and veterans complimentary haircuts in our Cosmetology School and Barber School. For a list of services go to AOHD.com and click on Guest Services. Must present Military ID to receive discount. 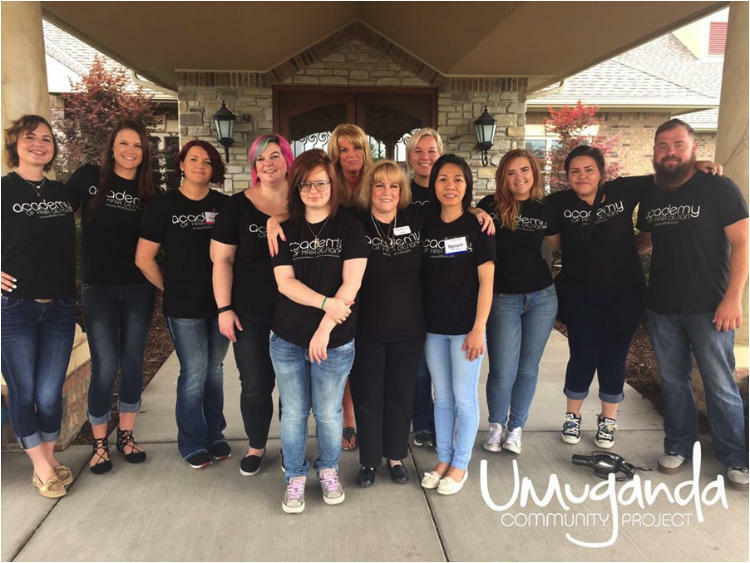 Academy of Hair Design launched their newest community project, Umuganda. On this day, all students and staff dispersed into the Springfield and surrounding communities to offer complimentary services, including haircuts, manicures, waxing, and make-up application. “Our goal is to create a strong foundation of service in our students and staff,” says Linda Daugherty, Superintendent. The word Umuganda can be translated as ‘coming together in common purpose to achieve an outcome’. In traditional Rwandan culture, members of the community would call upon their family, friends and neighbors to help them complete a difficult task. The last Saturday of the month, the entire country shuts down for the morning hours, and the minimum of one representative from each family is required to report for community service. The Academy learned of Umuganda in 2013 when they started a school, Dream Beauty Academy, in Kigali, Rwanda, Africa. “We want to not only give back to our community, but invest in people, build a network, and built our community. That’s what it’s all about. The more our students give, the more they will get back in their businesses,” said Melissa Bittle, Admissions Director. Students and staff were at several locations including, Harmony House, three Boys and Girls Club locations, Least of These in Nixa, The Maples Health and Rehabilitation, and at the Academy campus. The Academy hopes to host this event multiple times per year. We are passionate about serving our community and making a difference in people’s lives. 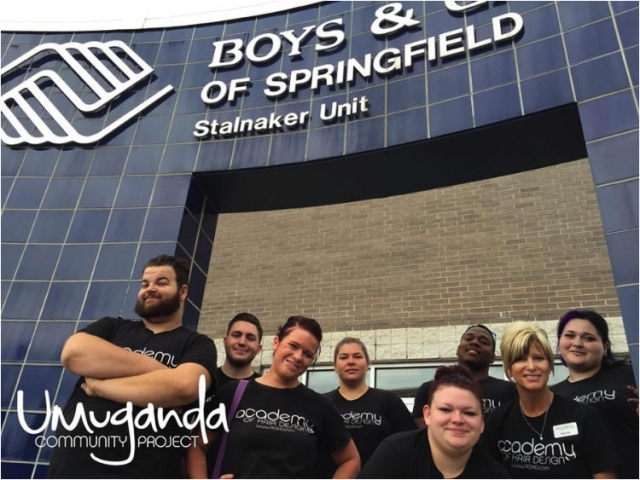 We were thrilled to have the opportunity to serve Springfield students and parents and give kids renewed confidence when heading back to school. We were thankful for these opportunities and looking forward to continuing to find ways to serve in the coming months and years. Thanks, Springfield, for letting us serve you! Keep up to date with all the ways we give back both locally and abroad!